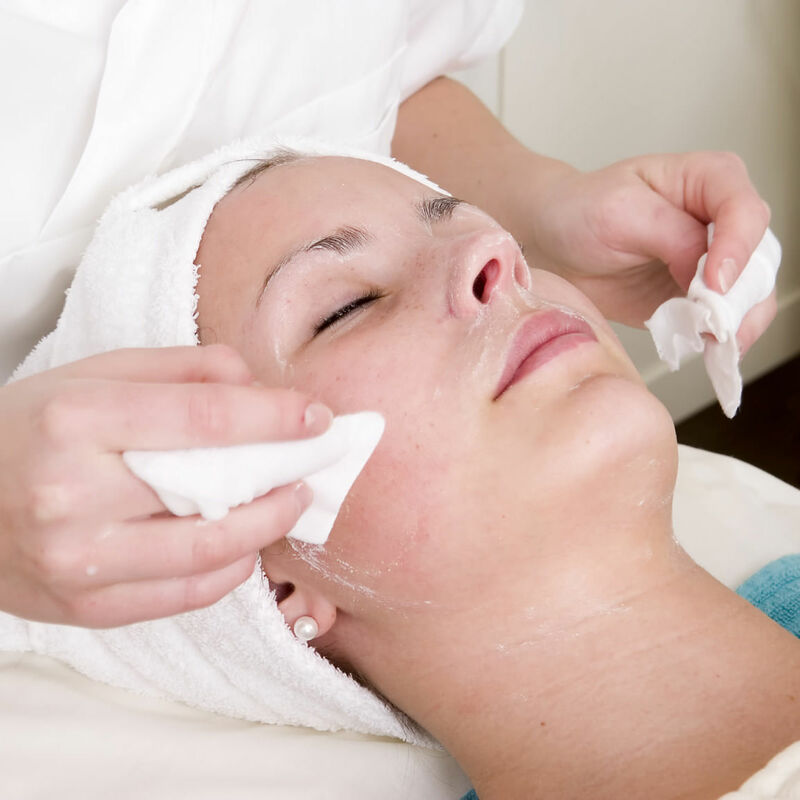 Chemical Peel: Using a customized blend of salicylic, lactic and glycolic acids and other soothing ingredients, a chemical peel exfoliates the uppermost damaged skin layers, leaving skin fresh, renewed, and radiant. Microdermabrasion: The procedure uses light abrasion with suction and crystals to gently smooth surface skin cells and exfoliate the outermost layers of the skin to reveal softer, smoother, more vibrant skin. Fine lines, crow’s feet, age spots, large pore, acne and acne scarring have all shown improvement after treatment. HydraFacial™: Removes dead skin cells and extracts impurities while simultaneously bathing the new skin with cleansing, hydrating and moisturizing serums. Salicylic acid promotes healing; peptides eliminate lines, age spots, and boosts elasticity. The treatment is soothing, rejuvenating, non-irritating. Suitable for all skin types, including thin or aging skin, ethnic skin, and dry skin or oily skin. Most effective when done as a series of 6 treatments.